CinemaNext will accompany you on your cinema new-build or refurbishment projects from the earliest stages until its public opening! We can assist you with cinema design, layout and other technical drawings, equipment selection and installation, training and made to measure project management. We will coordinate your project with any construction builder, architectural firms and all other technical companies involved to facilitate a problem-free project. 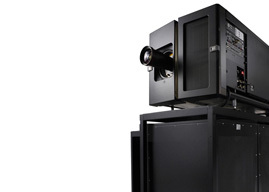 We also partner with financial institutions in financing cinema equipment with leasing and long-term solutions that can help any client shoulder their investment. Our innovative scheme for deployment operations provides effective solutions, allocating a project manager and dedicated teams for every distinct phase. This way, any issue can be pointed out and resolved without downtime. The project manager undertakes a detailed site survey for every projection booth in order to adapt technical equipment orders and is in charge of ordering all equipment from our procurement department.